Learning never stops. But when you are trying to teach retailing skills to the bosses of some of the world’s biggest companies, it is curious to know what the curriculum entails! This is exactly what happened during the India Retail Forum 2016 when under the Coca-Cola University on Wheels retailer training programme, the tables were reversed and CEOs became the students. 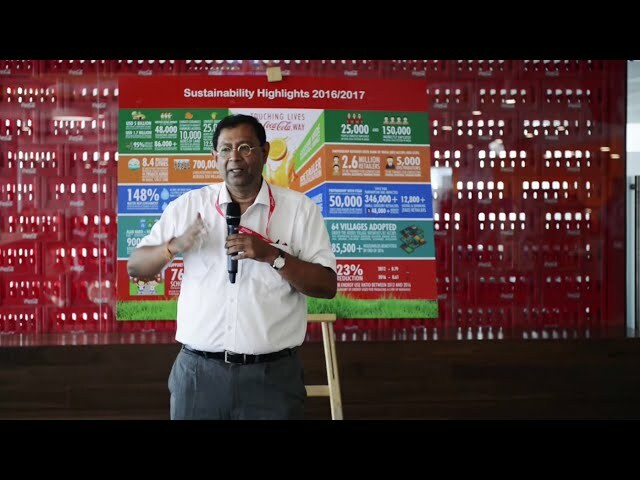 For several years, the Coca-Cola University in India (a virtual learning and skill building organisation) has been teaching kirana (mom and pop store) retailers new methods of retailing. The areas of teaching retail skills are in the verticals of customer relationship building, inventory management, cash management, merchandising, product display, small business best practices and much more. To bring the training to the students instead of having students go somewhere to get trained, the programme operates a specialised learning bus in a ‘mobile classroom’ environment to reach retailers even in remote parts of the country. Symbolic to the contribution that companies are making to retailing, The Coca-Cola University turned the tables and got the retailers to train the CEOs of some large companies during the India Retail Forum 2016. The small retailer advantage: Personalisation and the ability to connect with customers at a more direct level are only possible with small retail shops and not with large stores. It was certainly an interesting day for these business leaders not only for the unique classroom environment, but also because they learnt a bit more about the challenges and nuances of operating small retail businesses.